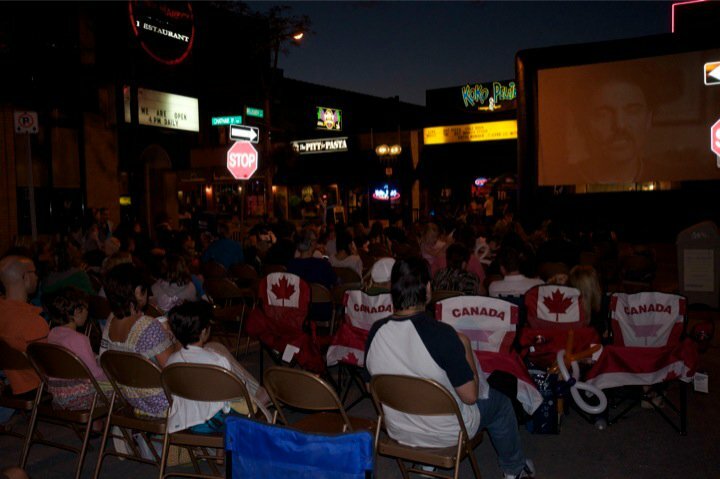 On Friday August 6, WindsorEats.com and the DWBIA hosted an outdoor film screening on the streets of downtown Windsor. It was the first event of its kind in our city centre and it was a great success. It was a family themed event and one that shattered many misconceptions of downtown Windsor. 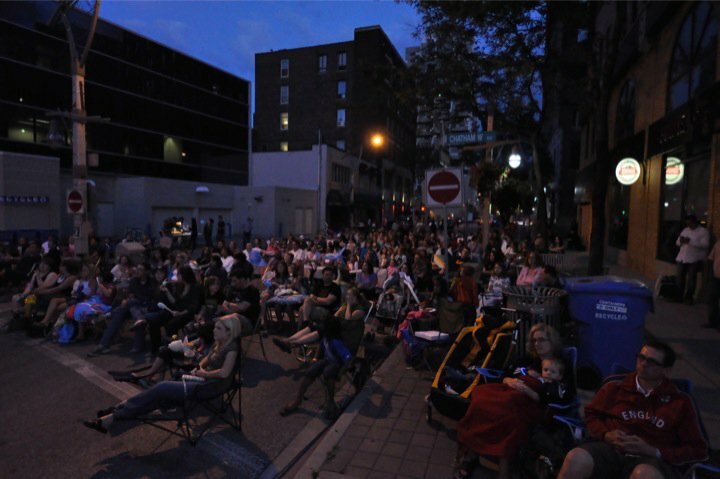 Hundreds of people, the majority of which were families with children, flocked to the cross section of Chatham Street and Pelissier to take in activities and a free film screening under the stars. Parking was easily accessible, children enjoyed many family oriented activities and it was a safe and fun event that kept families in the core until past 11pm on a weekend. Our downtown is changing for the better. Some questioned our decision to have a family event on a Friday evening on the streets of our city centre. Those that attended showed that, not only is it possible, but that it is something people have wanted. 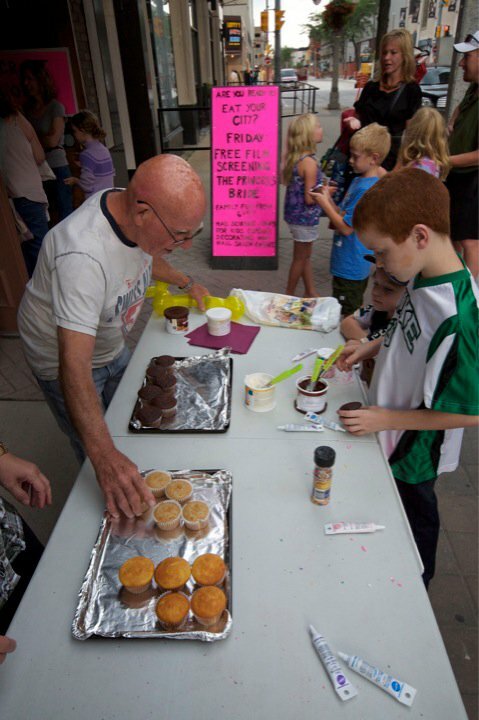 Thank you to everyone who came out and made it such a successful event and for showing that families can reclaim downtown Windsor and making it a vibrant community for all ages to enjoy. Thank you to the Downtown Windsor Business Improvement Association, Mark Boscariol, Chanoso’s Restaurant, Oishii Sushi Bar, Slice of Style, local author Karen Tompkins, Micanto’s Pizza, Pause Café, Mark Bradley for photographing the event and the Windsor International Film Festival who all contributed to the success of the event.